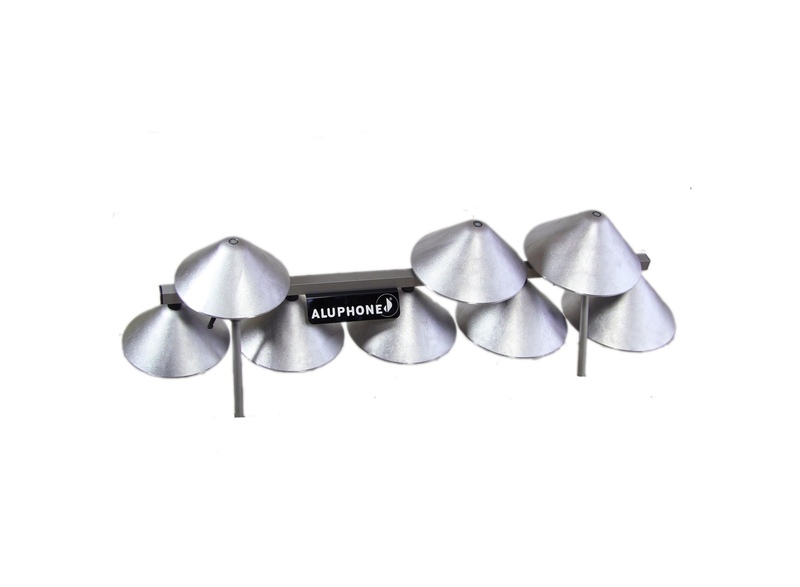 Glennie Bass | Aluphone - Tuned percussion for percussionists. Aluphone Glennie Bass with bells from C4-G4 (8 bells). It can be combined with the Glennie Concert and you have 3 octaves. You can place it in front of the Glennie Concert and it will be easy to play both instruments at the same time (see the video below) You can also use the Glennie Bass together with your setup for Drum Corps. It can easily be mounted on the frame/cart of a marimba/vibraphone. It can also be placed on cymbal stands.